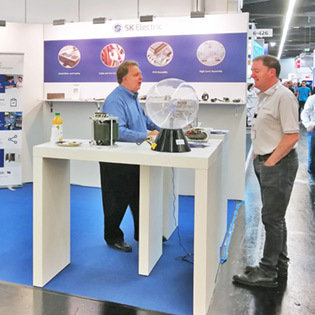 For the fourth year, SK Electric Europe will be present at PCIM Europe, at Nuremberg, from 7th to 9th May 2019. Visit our booth to get specialist advice on your project: Hall 6 Stand 422. Meet our R&D Engineers and get valuable inputs from experienced specialist on your project. Our Sales Engineers will be glad to show you how SK can be an important new partner in your projects. Don’t miss the chance to see in detail our patented R-Core transformer and high-frequency transformer. We are looking forward to seeing you at PCIM!